THIS IS a cold-blooded and factual account of your last 76 trillion years. Like all useful knowledge it was hardly won. I began search into the back track of Mankind some years ago. There was no actual knowledge of it in existence. There were numberless superstitions, countless guesses, as many theories in favor of one thing as in favor of another. People believed, some of them, that Man had lived before. They had no proof. Others believed that Man was born innocent and died and went to a place called Hell. Most believed that when you had lived once, that was all, fellow. In the first place, there was something wrong with Man. An animal such as a cat, even a reptile, a lizard, had habit patterns which carried him through his early days. Not Man. Why not? As usual, a lot of vagueness answered this. The very schools of “thought” that said Man was “just another animal” bogged utterly on why it was that babies, the young of this very intelligent animal, are much more stupid than kittens. That was only one thing wrong with Man that wasn’t explained. The further one investigated, the more one came to understand that here, in this creature Homo sapiens, were entirely too many unknowns. People who suddenly, out of no observable training, begin to speak foreign tongues, men who “seem to remember having been here before,” strange yearnings in people for various parts of the country or the world or the stars of which they have no actual knowledge—such things are routine puzzles. And there was a much more important thing at work than mere curiosity. Now and then, in my auditing, I would discover a case which would be extremely reluctant to recover and then would recover only partially so long as I used data from the current lifetime of the preclear. But as soon as I used the whole span of the time track—about 76 trillion years—I could obtain immediate response. THE AUDITOR WHO INSISTS ON AUDITING THE CURRENT LIFETIME ONLY, WHEN HE HAS THE WHOLE TRACK TECHNIQUE AVAILABLE, IS WASTING TIME AND EFFORT AND IS, IN FACT, SWINDLING HIS PRECLEAR. I announced “whole track” techniques to a large number of auditors. I found the better auditors quite willing to use them and these immediately began to obtain miracle-level results. A very few held back, were very cautious, would not employ the whole track, clung to this lifetime, invalidated the E-Meter, invalidated what they erroneously called “past lives,” were scathingly critical of my employing such data. So I investigated the auditors. Several of these were given sessions by me. I found several noteworthy similarities about them. They were so low in tone it was almost impossible to get them to register on an old-style Mathison. Their cases were utterly bogged. They generally made a practice of refusing any auditing. Their general record with preclears was very poor. Their own lives were running badly. They not only fought “past lives,” as they called whole track, but they fought any technique evolved since the summer of 1950 or used later techniques poorly. They would not run any “overt acts,” even in this lifetime. They needed, so far as their cases were concerned, the most careful auditing. I found two people, not auditors, who objected violently to “past lives” and who were “wide-open” cases. Both were in the inaccessible band, both had unsavory social records, both protested being audited in any incident of any kind. I concluded, therefore, that the relatively sane are capable of accepting evidence and the insane are not. 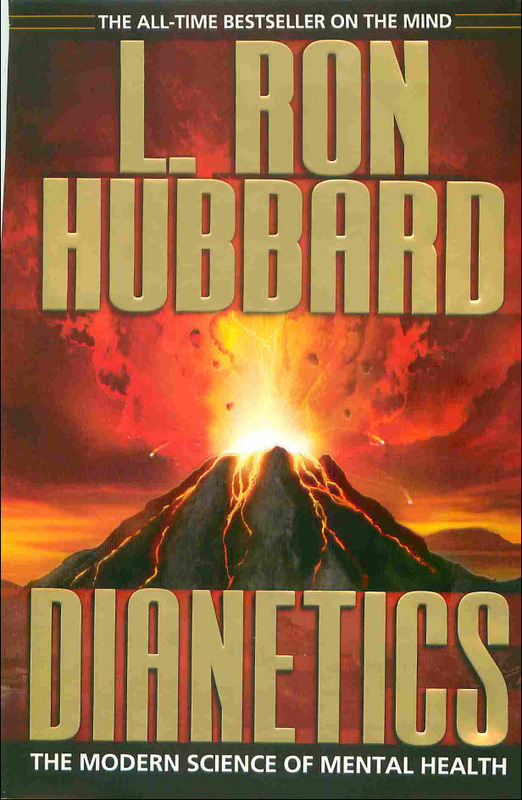 Occasionally people have told me that I should not release the data contained in this volume because there would be a repercussion throughout the country which would ruin Dianetics forever. Oddly enough, I’ve been unable to discover this repercussion. I have found people alert and friendly toward this data. Whole track is evidently much more acceptable than the idea of a prenatal. And, witness a recent Reader’s Digest, even the medical profession is accepting prenatals. Further, it is very hard to argue with a miracle. Today, Eleanor has arthritis. She is audited whole track with 1952 techniques. Tonight, she doesn’t have arthritis. Miracles using whole track are plentiful. By using this data, an auditor can obtain a MEST Clear rather easily. But the best argument which can be advanced for whole track is that it is factual. By using this knowledge, more is obtained than auditing results. A preclear suddenly recovers the ability, carefully learned eighty years ago, to play a piano; an electronics engineer, doing poorly before, suddenly wraps up formulas that would puzzle Einstein and which may get Man off Earth; and a thousand details in a hundred sciences become clear. The search of this track began some years ago and was conducted sporadically on many preclears. Various instruments such as the electroencephalograph and the police lie detector were used to further this search, but these were inadequate and limited for my purposes. Finally, Volney Mathison applied his electronic genius to the problem and invented the Electropsychometer. This instrument had a range and ability greatly in excess of anything before known. It compares to itself only in the field of physioelectrical mensuration and to existing devices as the electronic microscope compares to looking through a quartz stone. As soon as this instrument was turned loose on the problem, the problem ceased to exist. By adding up and checking probabilities on scores of persons, the character, extent and content of the whole track were mapped. It comments poorly on Man’s dullness that this project was impeded and slowed greatly by lack of funds and by very active efforts on the part of some to acquire and own the copyrights of Dianetics—may the ill of the world forgive them. Thus the map is not as complete in this issue as it might be. This work is honest research, done with considerable care. And it will bear up under survey by any competent auditor or investigator. The most amusing aspect of the whole track is that this work bears up under the onslaught of police lie detector experts. These, hard-eyed and uncompromising, become startled half out of their wits to discover that some of the crimes they find on their machines were committed two or three “lives” ago by the criminal under test and that, most alarmingly, the crimes so discovered are discoverable again to the last detail in the police archives. This is very upsetting to these operators—to be informed so bluntly that Man lives many years, not threescore and ten, and that today’s lifer may again be on their hands tomorrow as a juvenile delinquent! Gravestones, ancient vital statistics, old diplomas and medals will verify in every detail the validity of “many lifetimes.” Your E-Meter will tell you. 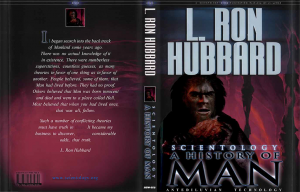 L. Ron Hubbard, Scientology: A History of Man (Bridge Publications, Inc. 1988). The standard every org is meant to emulate began with one man, and a handful of staff, non-Scientologists at that. Yet what we represent today is a global movement across every sector of society, thousands of groups, missions and organizations—millions strong. With these words, Mr. David Miscavige, Chairman of the Board RTC, began a landmark briefing on the essential core of our crusade to clear a planet. For at the heart and soul of every sector of our activity—even our work in the fields of education, rehabilitation and success in the workplace—are our organizations. “LRH asked for a gift on his birthday…and if we have previously given him the gifts he asked for—tonight we do it like never before. Because it not only is precisely what he wished for—but it’s also the means by which that gift will keep on coming. The ultimate target of the LRH Birthday Game is a cleared planet, and to achieve that goal LRH gave the precise ingredient to make it happen, for the entire purpose of the Birthday Game is expanding every org on the planet above and beyond the size of Old Saint Hill. Our response to the wake-up call of 9/11 was a dramatic escalation of our impact on the world with a corps of 30,000 Volunteer Ministers spanning every continent; more new groups in two years than the previous two decades combined; massive new headquarters for Narconon, Applied Scholastics and The Way to Happiness spearheading those solutions globally; and the numbers of those completing OT levels hitting all-time highs, week after week. Although this is unprecedented expansion, in truth we have barely scratched the surface. “First—let’s take a look at the population of planet Earth—6.5 billion and growing,” said Mr. Miscavige. “Second—with all the people we have helped, through the expansion we have achieved, has come an even greater reach in return. And for every being we salvage (in the front lines, through our social betterment groups and even one-on-one with VMs, there is then the rest of the Bridge we must help them travel. And third—for all those new groups, missions and even new Social Betterment activities—behind them is an auditor. How large do we need to be to impact the entire planet?’ Or put another way—how do we honest-to-god, clear the planet, for real? There are 4,203 groups, missions and organizations on planet Earth today—but there are 2,795,000 towns and cities that don’t even have a group. With a population of 6.5 billion, we’d have to expand 5,750 times by tomorrow— to reach them all in the next 10 years! So how do we take it to a whole new level? The problem is not one of how much we’ve grown, or the expansion of existing activities. It’s a question of how do we honest-to-god, clear the planet, for real? The answer is orgs like Flag, everywhere. And thus the question becomes how do we do it? 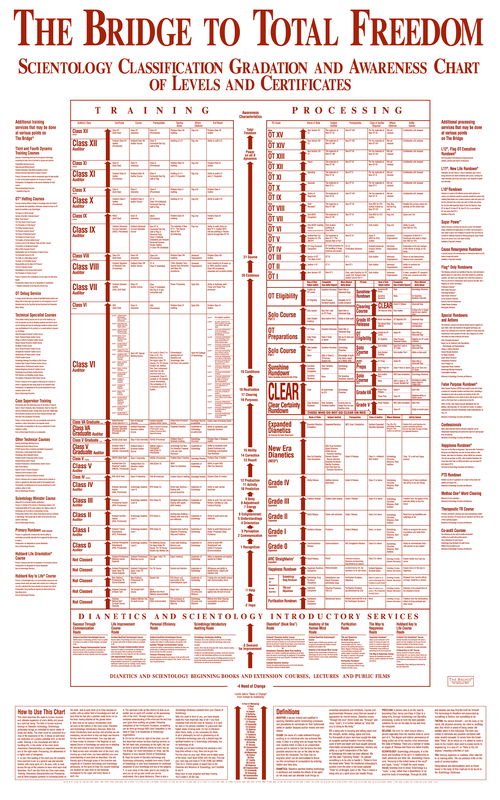 THE CORRECT ORDERS OF MAGNITUDE—WHAT ARE THEY? How do we take all we’ve accomplished in 50 years and create that same cycle, at that same grand total order of magnitude achieved internationally—but in every single city, and all 50 years of progress in an instant in any given area? Reviewing our history on an international basis over recent decades, a pattern emerges. In the early 1980s LRH established the international structure from which to operate—that was the Establishment, or HCO, phase. With public awareness of Scientology less than 10 percent in the mid to late ’80s, the Dissemination phase began. Today, you can hardly find a person who hasn’t heard of us. The Treasury phase followed, with the IRS recognition and the end of a 40-year war in the early ’90s. Next, and immediately following, was Technical in the mid-1990s with the Golden Age of Tech—and the ability to train auditors to perfection, and make OTs for real. With technical standards in, we reached the Qualifications phase, removing arbitraries on Bridge progress and case progress to OT. The route up the Bridge increased by 5X and is more direct than ever. And therein lay the answers at the correct orders of magnitude, and precisely why LRH called for all organizations to emulate Old Saint Hill. 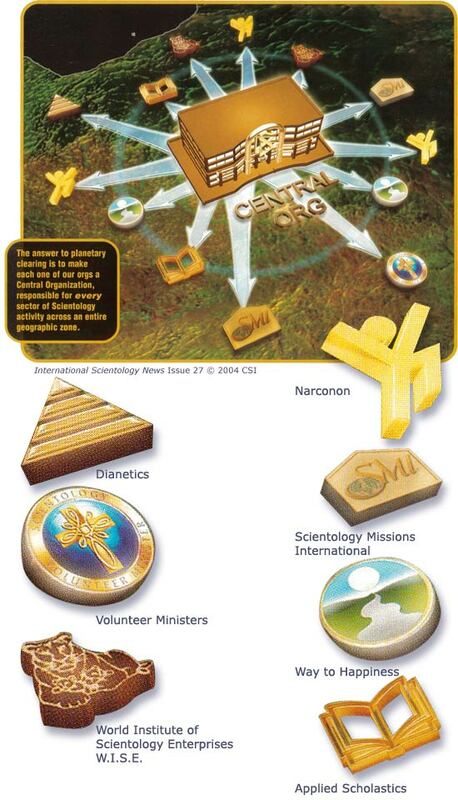 The answer is to make every one of our orgs a Central Organization, a headquarters responsible for every sector of Scientology activity across its entire geographic zone—all of it! How do we take all we’ve accomplished in 50 years and create that same cycle, but in every single city and all 50 years of progress in an instant, in any given area? The org board represents the cycle of expansion and organizations move through phases, division by division, representing that. We have moved from the Establishment, or HCO phase, through Dissemination, Treasury, Technical and Qualifications and we are now in the Public phase. The Establishment phase was the early 1980s when LRH established the international structure for eternity, giving us the structure from which to operate. The Dissemination phase began in the mid to late 1980s when there was less than 10 percent public awareness of Scientology. Today, it would be hard to find someone who hasn’t heard of us. We passed through the Treasury phase in the early 1990s with IRS recognition and the end of a 40-year war. The Golden Age of Tech in the mid 1990s was the Technical phase with the ability to train auditors to perfection and make OTs for real. The Qualifications phase in the early 2000s resulted in all arbitraries on Bridge progress found and cancelled, speeding progress up the Grade Chart by 5X. We are currently in the Public phase, beginning an entirely new era of creating and booming organizations everywhere. International Management bodies exist today for each sector of activity; including Scientology Missions International for missions across the planet; I HELP for field auditors and groups; and Social Betterment activities which handle drug rehabilitation, education and morality. And each one now emanates from the Central Org into the environment. “With this new breed of Central Organization— which are also now responsible for generating them across their entire geographic zone—we instantly increase our reach 200-fold in creating this new civilization. Let there be no doubt—that is the LRH plan for planetary clearing, and what all our expansion to date has brought us to accomplishing,” said Mr. Miscavige. As to how we do it, the solution comes from an LRH discovery made while researching in the realms of OT, and the result of that discovery was the formation of the three Public Divisions as the product of an org. As LRH said, “The theory of the org board is basically: THETAN, MIND, BODY, PRODUCT. “We have hitherto had only the mind and body in an org. Consequently, we have not expanded fast enough into the public. Our task is to make a cleared civilization. 1 The Public Contact Division (6A) introduces and enlightens new people on Dianetics and Scientology. From LRH research into the realms of OT came the organizational discovery of Thetan, Mind, Body and Product. With this came the breakthrough of three Public Divisions, the inclusion of everyone on our org board and the solution to creating a cleared civilization. 2 The Public Servicing Division (6B) provides all Introductory Services and also provides many public services intended for all Scientologists to be done between major actions. Here, too, is where Scientologists and non-Scientologists train to open new activities. 3 The final division is Fields (6C) where every type of activity is formed and continued to create a new civilization. As to increasing our numbers with the speed necessary to get the job done, the answer is to simply bring everyone on board. “That means the entire planet— Scientologists and non-Scientologists, alike. LRH put them all on our org board, and we’re about to slam on their hats!” Mr. Miscavige said. Putting this into action means confronting the size of the org and handling as needed to accommodate its nine divisions and within that, the three Public Divisions. 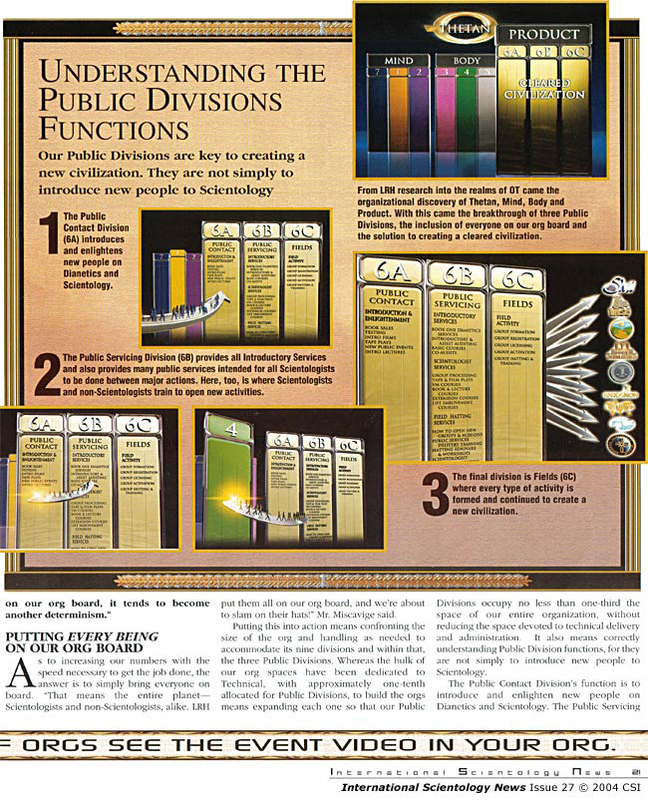 Whereas the bulk of our org spaces have been dedicated to Technical, with approximately one-tenth allocated for Public Divisions, to build the orgs means expanding each one so that our Public Divisions occupy no less than one-third the space of our entire organization, without reducing the space devoted to technical delivery and administration. It also means correctly understanding Public Division functions, for they are not simply to introduce new people to Scientology. Is there a way to both provide for expansion and create new organizations in such a way that it’s a matter of “add water and mix”? The Fields Division is the final Public Division and is where every type of activity is located— responsible for both their formation and their continued assistance. Here too is where every being is located on our org board. HOW DO WE MOVE ENOUGH PEOPLE ONTO THE BRIDGE TO IMPINGE ON THE PLANET? Taking up the biggest barrier in starting Scientology in any new area—bringing people to the awareness that help is possible—Mr. Miscavige stressed that except for a select and very minor percent of the population, when people find out what Dianetics and Scientology are, they want it. The major barrier is our communication. And if we are to achieve our objectives, we need to communicate at a whole new order of magnitude. And because we have a ton of solutions, we run the risk of being out-reality. So the problem becomes, “How can we answer that question ‘What is Scientology?’ completely and totally to the full satisfaction of any person?” And in the next segment of his briefing, Mr. Miscavige answered that vital question. “We do it in four words, and they are: ‘Go to the org.’ And that’s because we are taking all our successful dissemination programs—every one of them—and building them right into every org. Whereas telling a new person to go to the org might have ended at Reception or possibly the Reg in times past, now it will mean full dissemination, no matter the individual’s needs. A person walking into any one of our Churches will tour the Scientology Information Center right off Reception and soon be aware of the scope of the subject and the broad spectrum of real solutions available to him. Our new Public Divisions are designed to receive and handle any new person, find and handle his ruin and move him swiftly onto the Bridge. You will simply tell a person “go to the Org” and know he will be welcomed and that the Scientology Information Center will do the rest. Several Public Film and Introductory Lecture rooms, as well as auditing and course rooms, will directly adjoin the information center, so the flow onto the Bridge is simple and direct. There will be extensive exhibit panels, accompanied by an audio-visual presentation giving it all: the Reactive Mind; Thetan, Mind, Body; The Eight Dynamics; ARC Triangle; The Tone Scale; and more. A special display describes the E-Meter in full, and there are cans ready for anyone to pick up and see a thought. Public gathering rooms will include a Chapel and Event Hall. For Sunday Services and ceremonies the walls of this large room will be lined with panels displaying Scientology basics including The Axioms, Codes, Creeds, and more. 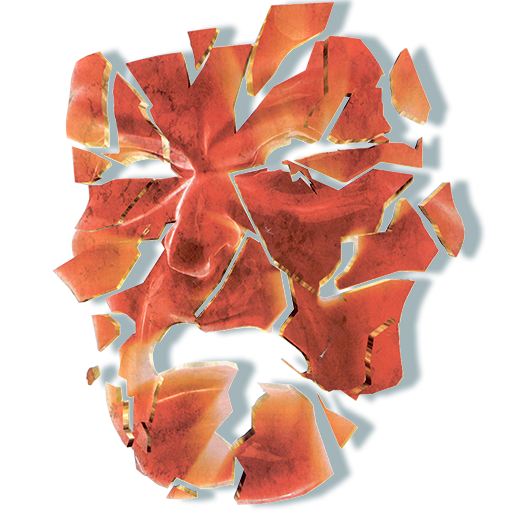 For large public events, including Open Houses, community events, lectures and workshops, the panels convert to present a specific display, for example regarding Dianetics in the case of a Dianetics Workshop, or a permanent exhibit on LRH himself. Showing the audience examples of these facilities, he went on to explain how for Sunday Services and ceremonies, there are panels displaying all basics: The Axioms, Codes, Creeds, and more. If the org is having an Open House or a large public event, the same room converts to present a permanent exhibit on LRH himself. It can also cater to any type of activity, including community events, lectures and “workshops, and can be converted quickly for public film showings. There are also individual lecture rooms for smaller groups of people, and directly adjoining all these spaces are public course rooms, which will now be sized like a full Academy. Following this rapid overview, Mr. Miscavige detailed just how all of this would work in this Audio-Visual Communication Age. As people are generally much more willing to watch a TV than read something, he pointed out this makes our job much easier. To illustrate the point, he briefed on a pilot study conducted over the past year. The question is not how to clear an individual—it’s how do we clear a civilization? And how we increase our numbers with the speed necessary to get the job done? For example, when a person walks up to the Dianetics display, he gets the basic concept from the panels. When he hits “play” a film gives him the reality of mental image pictures and the Reactive Mind—all in two minutes. There are also films on the fundamentals of Scientology: The ARC Triangle, its components and its application in life; The Eight Dynamics; Auditing; The Tone Scale and The Parts of Man. Adjacent to the Scientology Information Center, a number of rooms will be available for new public to view LRH Public Films and Enlightenment Films, addressing specific ruins and their handlings. A new multilingual digital projection system will allow the exact right LRH Public Film or Enlightenment Film to be shown instantly. And these film rooms will convert to Introductory Lecture rooms, providing even more facilities for enlightenment. Similarly, public can find out about Narconon—from its presence around the world to a description of the program itself. At the Applied Scholastics display, they can see the ‘worldwide centers, Study Technology itself and its many applications from children’s programs to inner cities. The Way to Happiness display provides a description of the book’s content and intended use, as well as the collective accomplishments of its dissemination through the years. Further displays show the rest: from the Volunteer Minister program, I HELP, SMI and WISE, all the way to the Citizens Commission on Human Rights. There will be literally hundreds of videos presented. With that he announced new Enlightenment Films, covering every level of the Grade Chart from the moment a person moves onto The Bridge. By way of example Mr. Miscavige described the new LRH film, “Advice to Persons Being Audited.” Shown to a person immediately after he signs up for auditing, this 10 minute film teaches him the ropes of a session before he spends one minute of auditing time. Such films will cover all levels, from the Purification Rundown and TRs and Objectives, to the Solo Auditor, specifically written by LRH to be played for a person the instant he goes Clear. The Clear Expansion Committee is responsible for coordinating and running the various projects being done by each of the field groups and activities in their area. 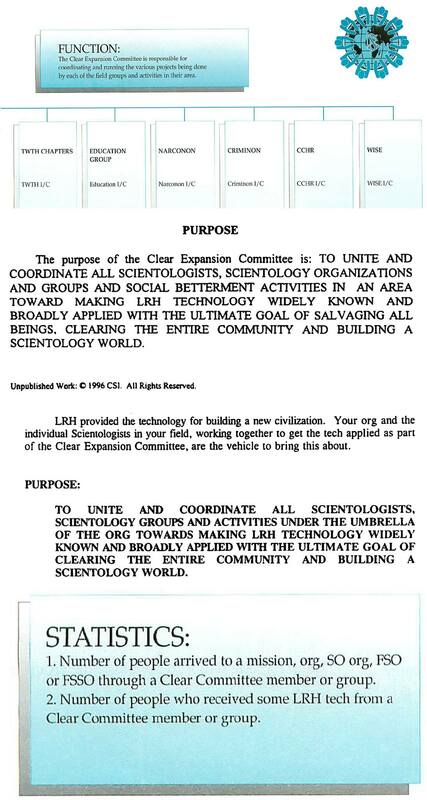 The purpose of the Clear Expansion Committee is: TO UNITE AND COORDINATE ALL SCIENTOLOGISTS, SCIENTOLOGY ORGANIZATIONS AND GROUPS AND SOCIAL BETTERMENT ACTIVITIES IN AN AREA TOWARD MAKING LRH TECHNOLOGY WIDELY AND BROADLY APPLIED WITH THE ULTIMATE GOAL OF SALVAGING ALL BEINGS. CLEARING THE ENTIRE COMMUNITY AND BUILDING A SCIENTOLOGY WORLD. Unpublished Work: © 1996 CSI. All Rights Reserved. LRH provided the technology for building a new civilization. Your org and the individual Scientologists in your field, working together to get the tech applied as part of the Clear Expansion Committee, are the vehicle to bring this about. TO UNITE AND COORDINATE ALL SCIENTOLOGISTS, SCIENTOLOGY GROUPS AND ACTIVITIES UNDER THE UMBRELLA OF THE ORG TOWARDS MAKING LRH TECHNOLOGY WIDELY KNOWN AND BROADLY APPLIED WITH THE ULTIMATE GOAL OF CLEARING THE ENTIRE COMMUNITY AND BUILDING A SCIENTOLOGY WORLD. 1. Number of people arrived to a mission, org, SO org, FSO or FSSO through a Clear Committee member or group. 2. Number of people who received some LRH tech from a Clear Committee member or group.